What do we know about national trends? 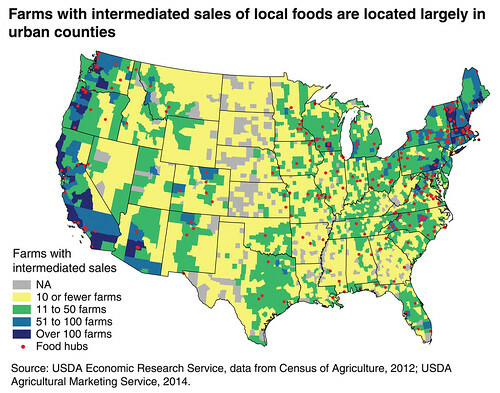 In a recent report, the USDA explored the local and regional food systems that exist throughout the country. It detailed the latest economic information on local producers and consumers and identified policies that could support local growth. Read a summary of the report at the USDA’s blog here or take a look at the report itself here. Want to receive quarterly updates from CVFSC? We’re starting a newsletter! 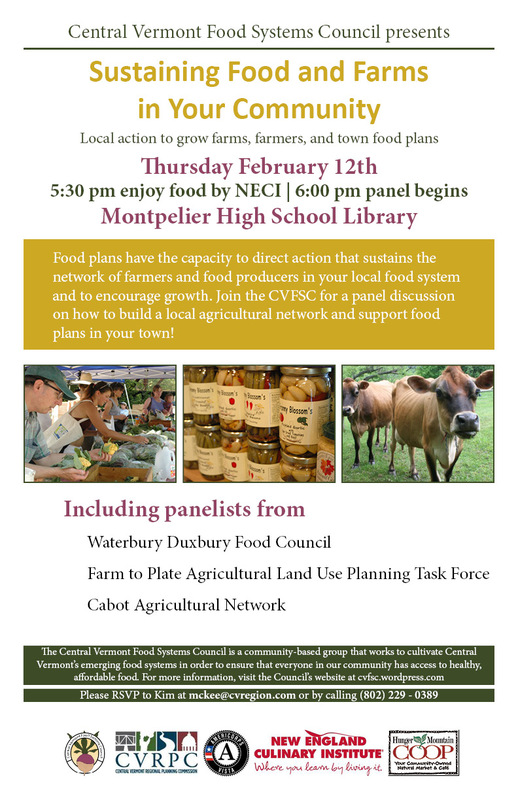 Sign up using this link to hear about CVFSC projects, local food news, events, and volunteer opportunities. 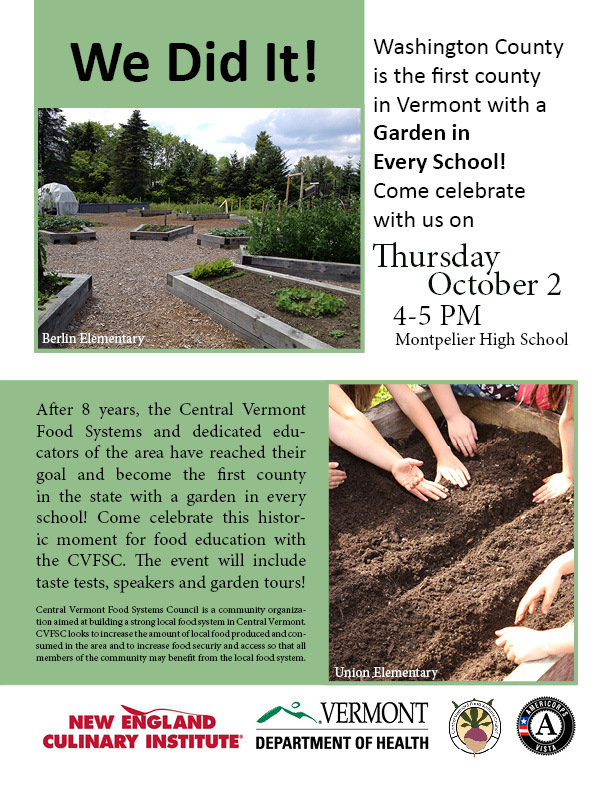 Central Vermont continues to have significant ties to the agricultural and forest‐based economies. In addition to direct economic contribution, farms and forests helps to define the Region’s cultural identity and provides Central Vermont residents with open space, recreational opportunities, aesthetic pleasure, and a sense of place. Check out this snapshot of Central Vermont’s food systems, including agriculture data and economic trends! 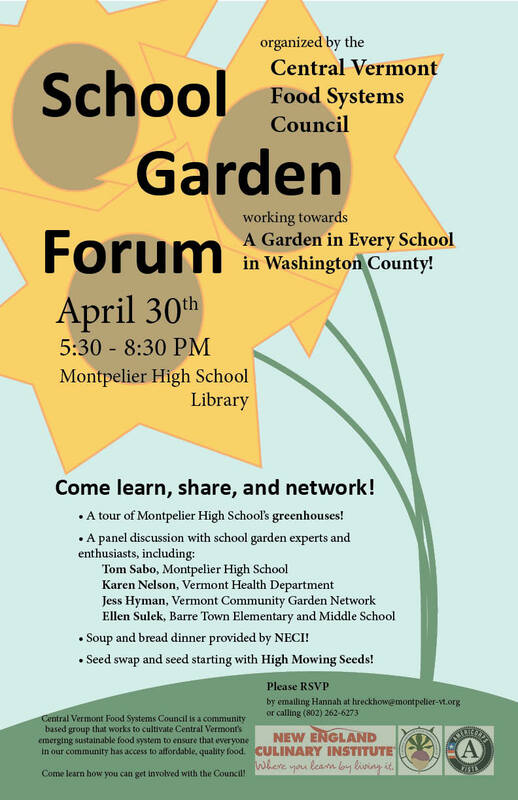 You’re Invited to our first School Garden Forum! 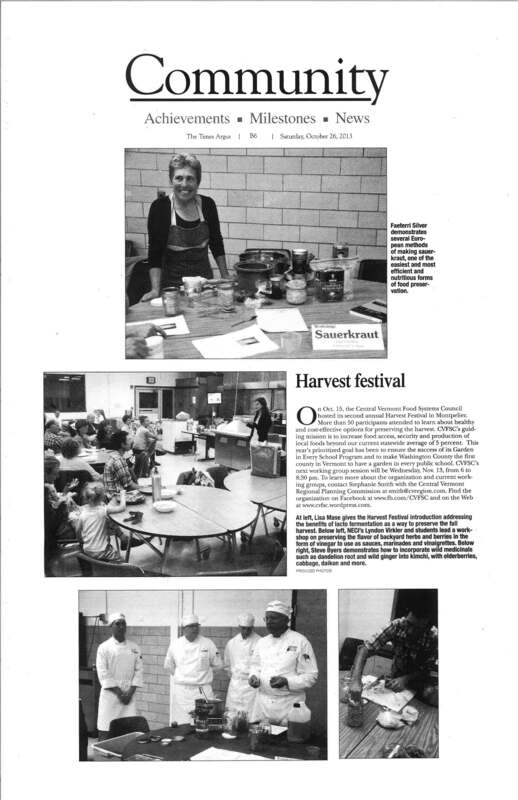 Harvest Fest was featured in Times Argus!